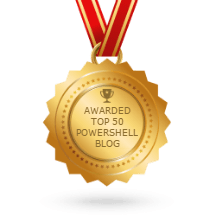 I’m always short of time and abundant of work since I make PowerShell scripts and write articles about them I’ve to also spend about an hour a day on social media sharing my content/blog posts and engaging in PowerShell communities. But the problem with social media is – Either you are Jeffery Snover himself 🙂 or most of the times nobody cares about your content and the Facts says: your post on Twitter or Facebook feed have an average lifetime 10-15 mins for a set of eyes to catch it or it will disappear in the noise out there. So! *Takes a deep breath* You’ve to share the content you are creating multiple times on Twitter to reach out to more and more people = MORE TIME, otherwise, it doesn’t make much sense putting efforts writing those blog posts and creating those scripts if nobody is reading them. Then just Tweet the Topic, Shortened URL, and hashtags. In order to get few random articles from my blog, a simple Invoke-WebRequest on my blog URL would work like a charm, and get me the parsed HTML content of the homepage. NOTE: You’ve to customize the script to handle your blog because you’ve to filter out exact HTML tags to get the data residing within them, which would be different for every website. You can use static data instead where in you put all Article topics and URLs and utilize it in publishing tweets, but that is not our case because we’ve to regularly update this static data whenever I write a new article. But wait on the homepage on my blog not all links populate at once until you scroll down, so I’m gonna iterate all pages and get the links to the articles I’ve written. Once I get all articles I’ve to use Get-Random cmdlet to select some random articles. I used Google API’s for this following is the function, but first, you’ve to subscribe the API here and get an API key to make it work. Hashtag important keywords in your TweetHashtag your topics so that if people search using a particular Hashtags they get reach your tweet easily, also it’s easier for you to track them. and you’ll see random blog posts from your archives getting tweeted in the defined interval on you Twitter Profile. If you want you can also Prefix something like “From the Blog Archives: Topic” for your twitter followers. What if we can schedule one such script on a physical machine that is running 24X7 or a cloud instance which is always up? It would definitely increase social media interactions and visibility to the work you are producing! Your content would be shared on social media even when you are sleeping and working on other things and for sure it will save you some time 🙂 which is scarce. Hope you’ll find it useful, give me a shout on twitter if you like the content I share. Thank you very much for reading!